The American Society of Mechanical Engineers (ASME) Foundation and Future Engineers, an online education platform, have chosen winners for their 3D Mars Medical Challenge: Lewis Greenstein, 18, of Seattle, and Lauren Lee, 12, of Cupertino, CA. In the organizations’ fifth joint student innovation challenge, students were tasked to create a digital model of a medical or dental object that could be 3D printed by an astronaut to maintain physical health on a three-year, round trip mission to Mars. Uses could have included: diagnostic, preventative, first aid, emergency, surgical and/or dental purposes. This challenge placed K–12 classrooms squarely in the middle of problem solving for this important scientific mission. Out of 745 submitted designs from 34 states, a panel of experts selected one national winner from each age division. The winner from the teen group (ages 13-19) was the Dual IV/Syringe Pump designed by Greenstein, and the winner of the Junior Group (ages 5-12) was the Drug Delivery Device designed by Lee. In recognition of their accomplishments, each winner and one parent will be flown to Houston for a tour of NASA’s Johnson Space Center to learn more about space medicine, human space exploration and Mars. In addition to the grand prize, a MakerBot 3D printer will be donated to the education organization of their choice. Lee’s Drug Delivery Device is a fully 3D printable spring-loaded syringe, while Greenstein leveraged his experience volunteering in medical clinics to invent his Dual IV/Syringe Pump, a system which uses a blood pressure cuff as the driving force to administer intravenous fluids in microgravity. For Greenstein, this was his first time using 3D design software. He learned the skill through an innovations prototype class he took at his school, Seattle Academy. “I am very honored, especially because it was my first time using CAD software,” he said in a statement. To learn more about the Future Engineers 3D Space Challenges, or to get information on how to enter or the judging criteria, visit the Future Engineers website. 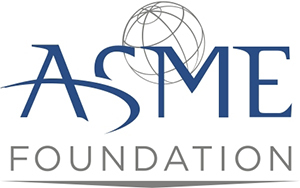 To learn more about the ASME Foundation, visit that charitable organization’s site.